A town hall in Mallorca is usually known as Casa Consistorial, the seat of the municipal Ajuntament. In Palma, the Casa Consistorial is known as Cort due to the fact that originally the court or residence of the town elders was found here. 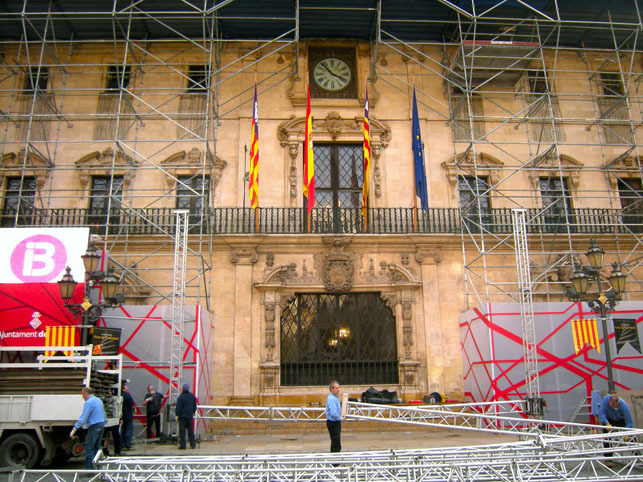 You may have noticed that the Palma town hall building has been cladded in scaffolding for the last four or five months. Restoration work was undertaken to the roof. 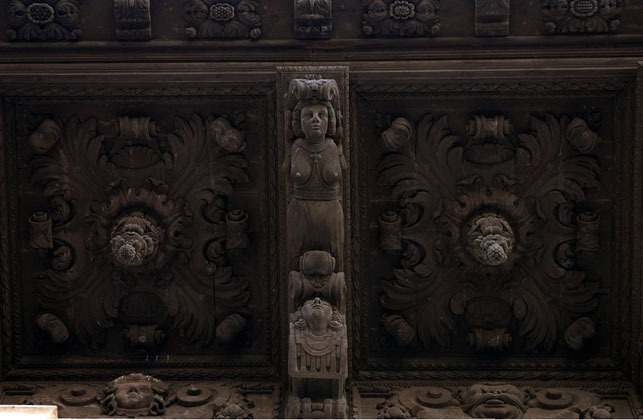 At the same time, the structure of the scaffolding allowed the experts easy access to the wooden sculptures adorning the eaves of the building. Upon inspection, it seems that it came as a surprise to them that the 330 years old wood carvings and sculptures were in pristine condition, give or take some minimal onset of microorganisms which now calls for a thorough clean-up operation. The impressive cantilevered overhangs with an unusual depth of 3.60 m were mounted in 1680, having been carved by the carpenter, Josep Vanrell, after a design by the sculptor, Gabriel Torres. Apart from all that, Springtime starts today. Three cheers, I’d say. The photo (top) was taken in Palma de Mallorca, Baleares, Spain. The date: December 31st, 2010. The time was 15:51:57. 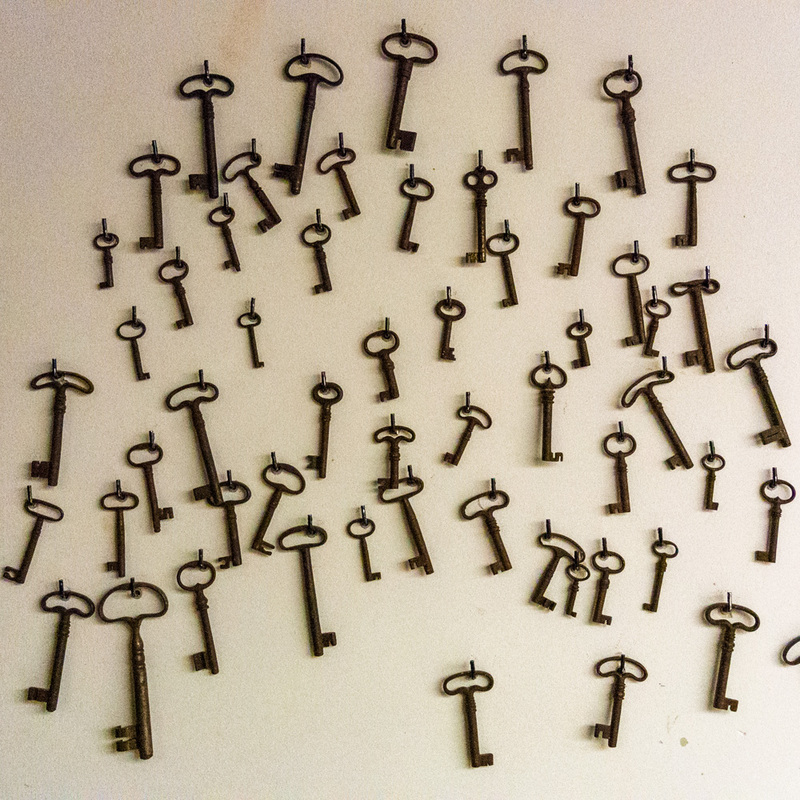 The photo (bottom) was borrowed from the Internet, courtesy Flickr and Gertie_DU.